In a rare TV address, King Felipe VI of Spain said Catalonia referendum’s organizers put themselves “outside the law”. The king said the situation in Spain was “extremely serious”, calling for unity. According to local medical officials, during the vote, 33 police officers were also injured. 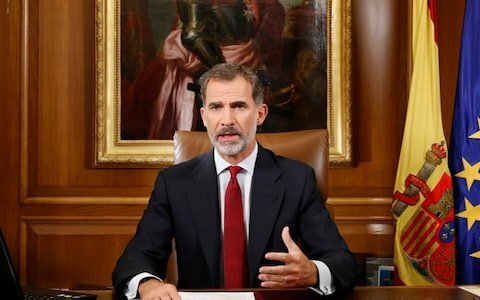 In his TV address to the nation, King Felipe said the Catalan leaders who organized the referendum showed their “disrespect to the powers of the state”. “Today, the Catalan society is fractured,” the king said, warning that the poll could put at risk the economy of the wealthy north-eastern region and the whole of Spain. However, King Felipe stressed that Spain “will overcome difficult times”. Spain’s central government has described the Catalan referendum as illegal.